Hide app and folder in iPhone and iPad, on iOS 7 and iOS 8. 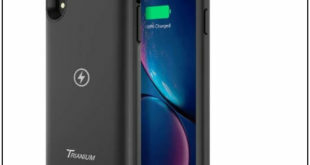 My friends and more of the business and professional users are hiding apps for security reasons. We need more security on Banking apps, Stock apps to prevent from cheat and unknown people who are near to you. Most of the users want to hide games apps, its hence that his/her child never see installed games apps. Useful: Tips How to improve Battery life on iOS 7. Using these tricks you can also manage all apps in single page of app browser. 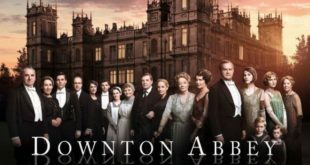 Using this you don’t have to scrolled or move from one careen. Using app search options, you can search your apps easily. It may be hidden or inside folder stack or on home screen also. 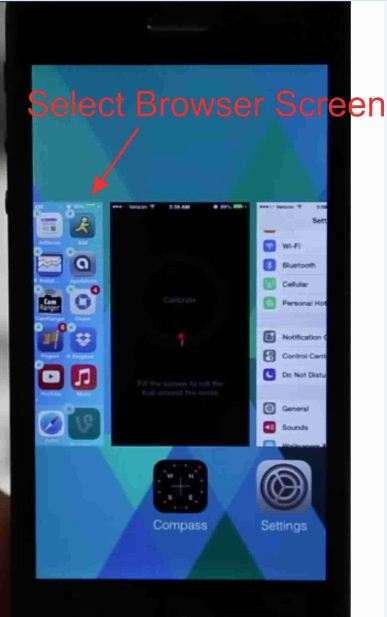 You know that folder making is very easy in iPhone and iPad on iOS 7 or iOS 8. 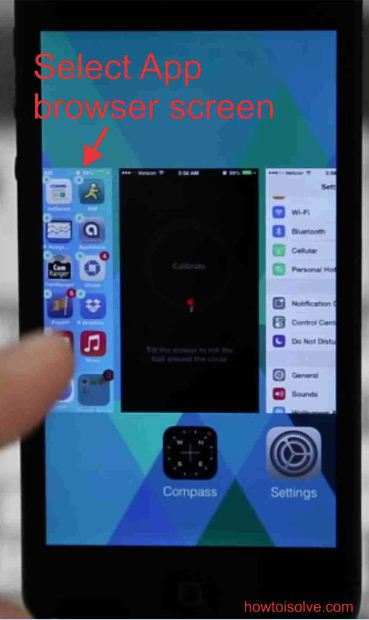 Same process that you have to do to hide folder from your iPhone home screen or App browser. 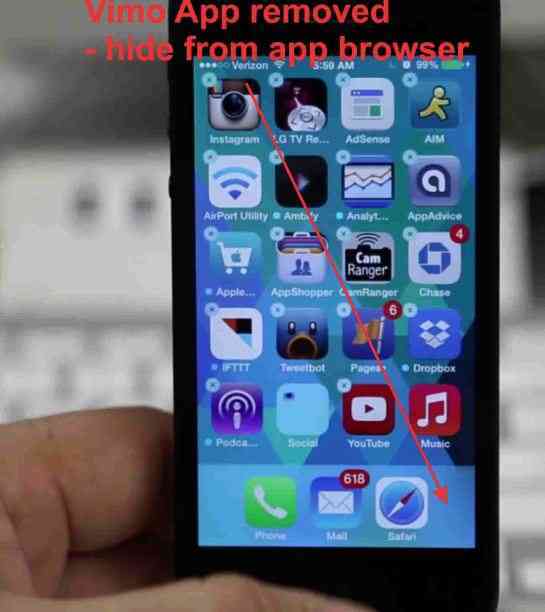 Here are the steps to hide folder without any Apps you have to use. Note: Folder hiding doesn’t delete your app locate in folder. 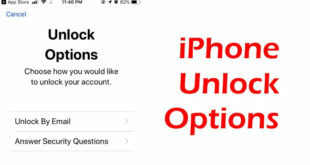 You can get with reboot your iPhone or iPad in instant way. Step 1: Tap and hold the folder that you want to hide from app browser screen. 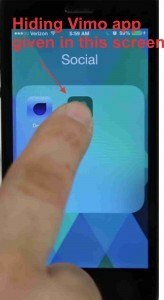 Without released folder press home button on your iOS device at once. Step 2: Now you can see all screens in your iPhone and iPad screen. From this screen choose app browser screen. 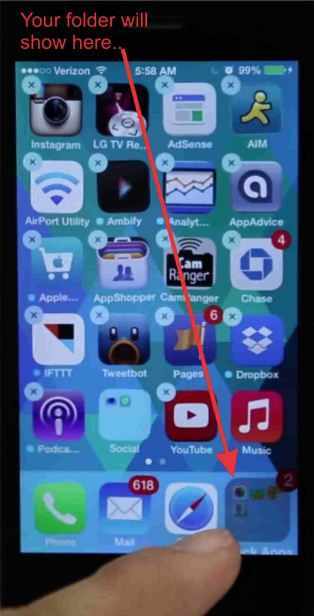 Step 3: Your selected folder will be show at bottom of the iPhone and iPad strip in water mark. Step 4: After done above steps, press home screen once again. Now you can see folder gone hide from your app browser. But you can search it by swipe down your app browser screen. 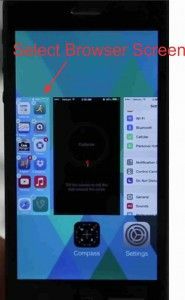 Let’s see how to remove and hide app from iPhone and iPad without any Apps or third party jailbreak apps. 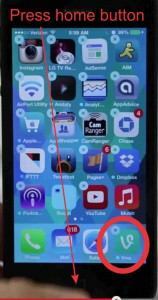 After hiding app from app browser no one can access or see app from app browser, but you can use search option to launch app that is hidden. Here’s the basic steps for remove or hide app from iOS device: in this example vimo app will be hide from app browser. 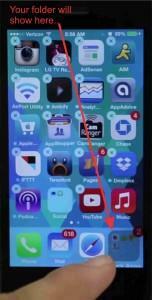 Step 1: Select app and Hold which you want to hide, from iPhone and iPad on iOS 7 or iOS 8. Step 2: Now all Apps are shacking in your iDevice, Press on apps (vimo). Step 4: Tap and hold vimo app, and press also home button two times at once. 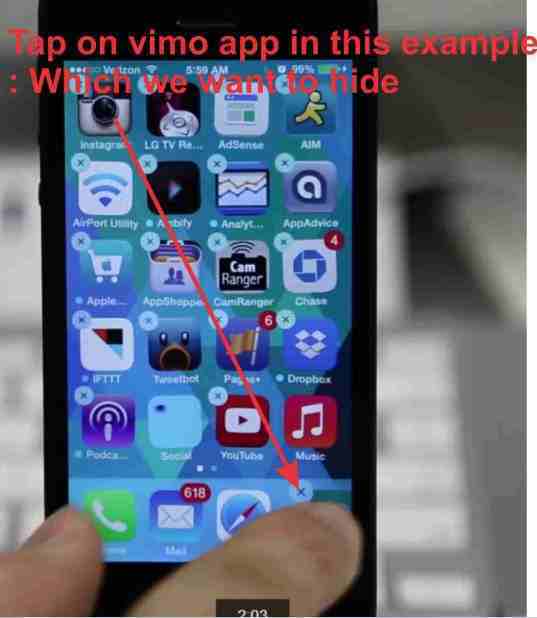 Step 6: Once again press home screen, You can see vimo app should be hidden from your iPhone and iPad on iOS 7 or iOS 8. Step 7: But you can access it by searching it at top search box, this search box will be shown after swipe down your screen. Step 8: Now you are done. 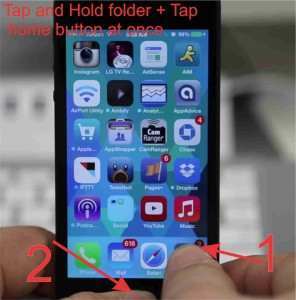 Useful: How to set panoramic Photo as wallpaper in iPhone (iOS 7.1.2). Don’t miss to know, what’s your thought on Hide app and folder in iPhone and iPad, and how this post helps you. 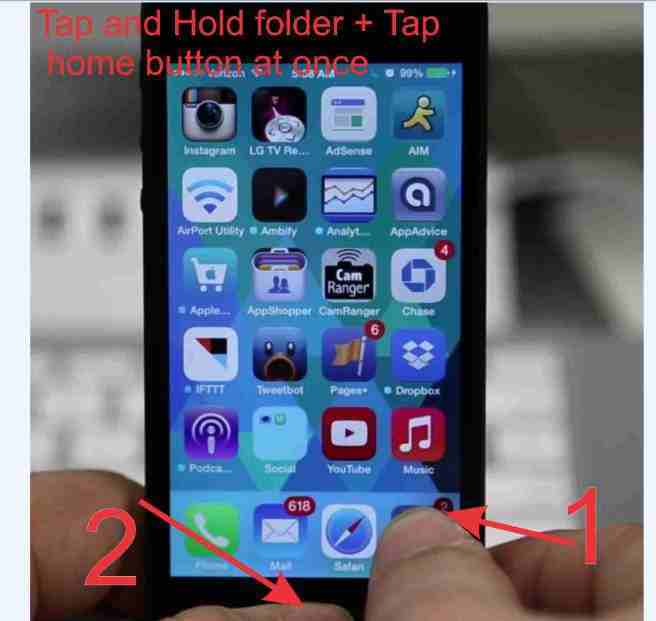 Further any query on hide app and folder in iPhone and iPad on iOS 7 and iOS 8 without any apps, So comment in below. We glad to assist your problem.